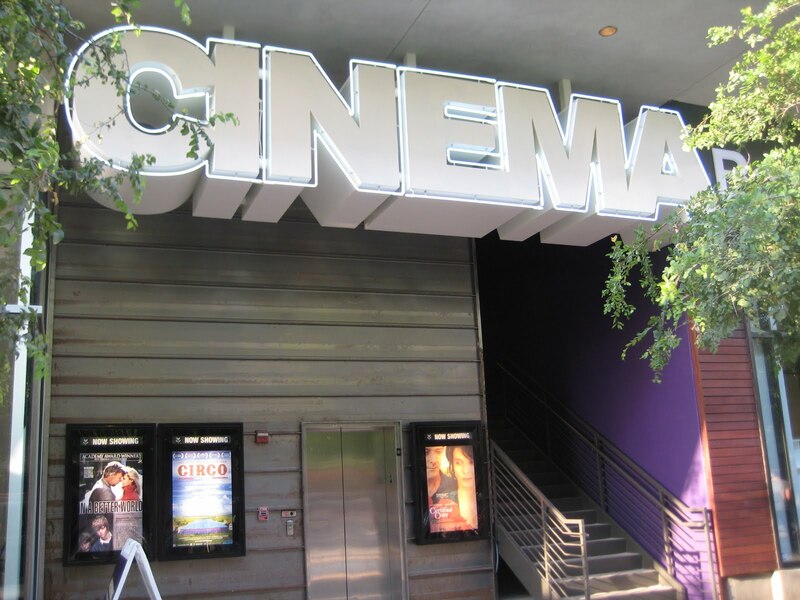 Today a new movie theater, Violet Crown Cinema, opened just two blocks from our apartment. And yes, we have already been there. Violet Crown is a locally-owned theater showing “art, independent, documentary, and international films”. We watched Circo, which followed a small traveling circus in Mexico. Bingo! Fits all four categories! With subtitles as an extra bonus! 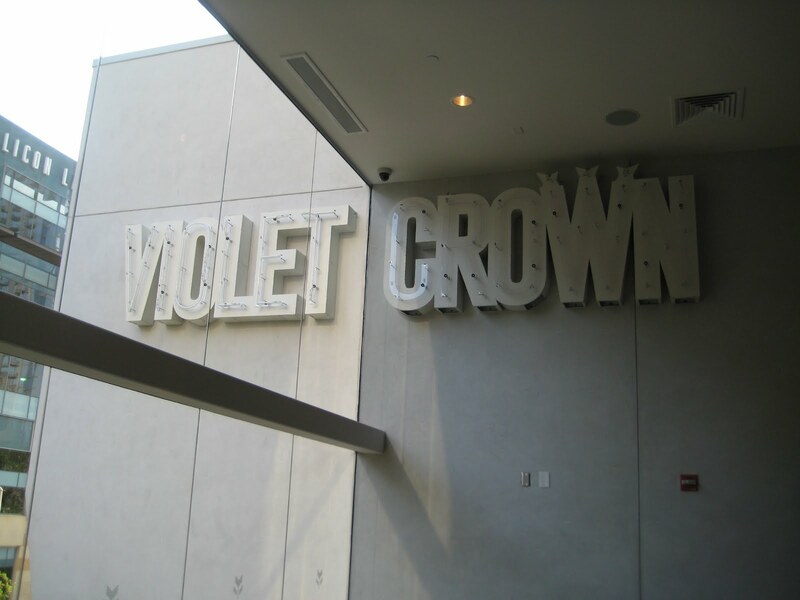 Violet Crown’s entrance is tucked in-between the Malaga restaurant and the BoConcept furniture store on Second Street. The box office and theaters are upstairs. All seats are reserved in advance at the four small theaters. Food and drinks from the adjacent cafe and bar can be taken into the theaters. The comfy seats have attached table trays. Parking is free in the attached Amli garage. This entry was posted in Uncategorized by janis. Bookmark the permalink. I thought of you guys immediately when I heard about this. Sounds cool – hope I can join you for a movie one of these days.